Have you ever wondered: What will I do when I retire? Should I move? Wouldn’t it be nice to live near family? The answer might be an Accessory Dwelling Unit (ADU) – a second dwelling on the same property as a primary home. It was the solution for this homeowner. Our client was ready to make a major life change and move to be closer to her family and decided that she was ready to downsize to make this happen. The result was creating this lovely 510 square feet of luxury living. Sounds small, but oh what that 510 square feet can do! 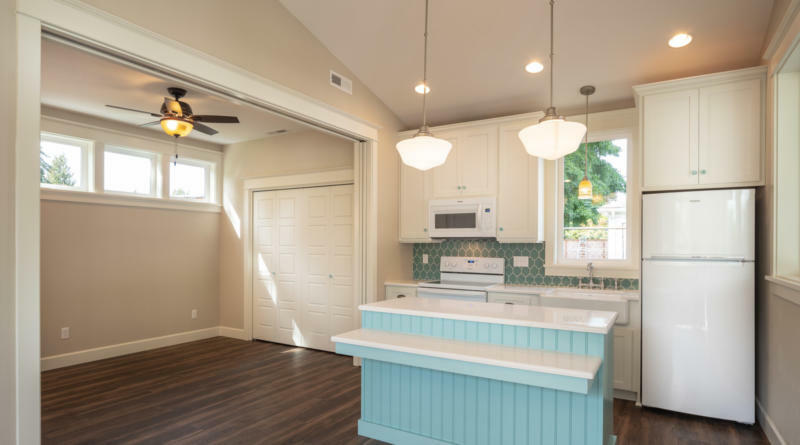 It includes a modified kitchen with white Shaker cabinets and an island sporting the homeowner’s favorite color – aqua or “Tiffany” blue. The island doubles as eating and desk space giving this home a petite sized pop. Its open concept allows the Living Room to ease into the Kitchen and even the Bedroom to take advantage of every inch. Privacy was also accounted for with pocket doors to wall off the bedroom and give the homeowner options on how to use the space when alone or entertaining. Care was taken to incorporate a livable bathroom space with walk in shower and includes a stackable washer and dryer. 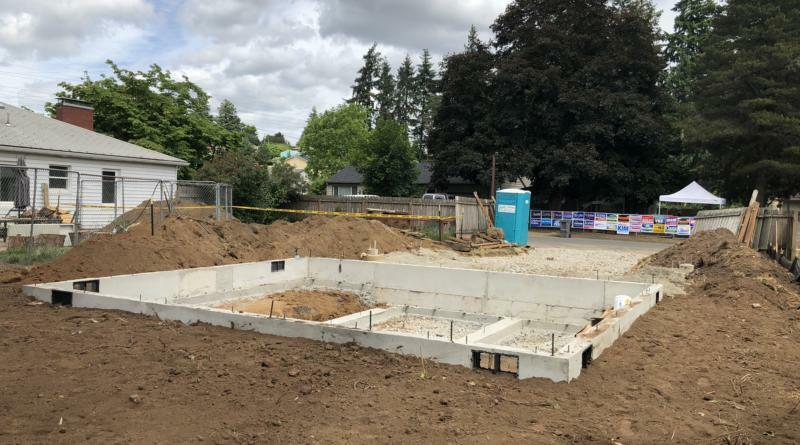 Since space inside was at a premium, the ADU gets double duty from its outside living space including both a patio and carport making this ADU something that ADDS to both the primary residence and to the family members living there. With over 25 years experience in the northwest with new home construction, remodeling and project management, we at ReNew Creations have the skill, craftsmanship and know-how to complete your home project. We pride ourselves on personal service and attention to detail, which makes ReNew Creations the Contractor of Choice in remodeling or custom construction.